Abhijit Pohankar is probably the only classical keyboard player on the concert circuit. His sound on the keyboard is akin to a mixture of the Santoor and Piano ? a very distinct and unique sound to experience! In this he has been fortunate enough to learn from his Guru, Pandit Shiv Kumar Sharma. 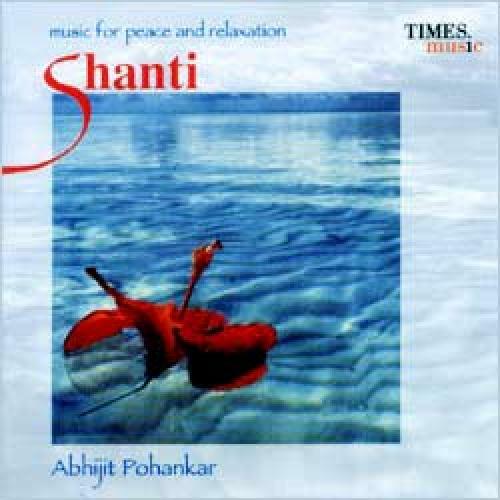 'Shanti' is one such experiment in this genre combining Hindustani Classical with pop sounds to put together a very unique album. Welcome to the fascinating world of sound and music that has the power to comfort and calm the senses and the mind-music that is structured to help you relax in the comfort of your own home or anywhere you feel the need to reduce your stress level for a while.? In times long ago, the healing power of sound and music was prized as a powerful and mysterious tool to help balance mind, body and spirit. Ancients such as Plato, Pythagoras and Orpheus spoke of music as a source of health and vitality. Further, music and rhythms have always been an integral aspect of traditional rites and rituals of worship. The ancients understood as we do today, that music is truly a universal language, needing no words to convey emotion and meaning.? Music does indeed soothe the soul! ?